Dr. Thomas S. Kaplan is an American investor, environmentalist and advocate for humanist values. 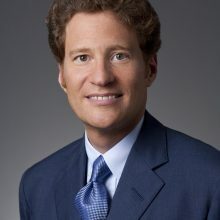 He is the chairman and CEO of The Electrum Group LLC, a New York City-based investment, advisory and asset management firm with a focus on the natural resources sector. Dr. Kaplan is a member of the Council of Foreign Relations and the International Council at Harvard University’s Belfer Center for Science and International Affairs, where he created, with General David Petraeus and Professor Graham Allison, the Recanati-Kaplan Intelligence Fellows program. Dr. Kaplan is an active environmentalist. In 2006, he and wife founded Panthera, now considered the leading NGO devoted to preserving big cats and their critical ecosystems. In the arts, Dr. Kaplan created The Leiden Collection, which is focused on paintings by Rembrandt, Vermeer, and their circles. Dr. Kaplan is Chairman of the International Alliance for the Protection of Heritage in Conflict Areas (ALIPH). A joint initiative of the governments of France and the UAE, ALIPH is dedicated to the implementation of preventive, emergency response, and restoration programs for cultural property in danger of destruction, damage or looting. Dr. Kaplan served as president (2009-2012) and chairman of the board of directors (2012-2015) of the 92nd Street Y, New York’s most prominent Jewish community and cultural center. Dr. Kaplan holds B.A., M.A, and D.Phil degrees from the University of Oxford. He was awarded the Legion of Honor, and the Order of Arts and Letters, for services to France.